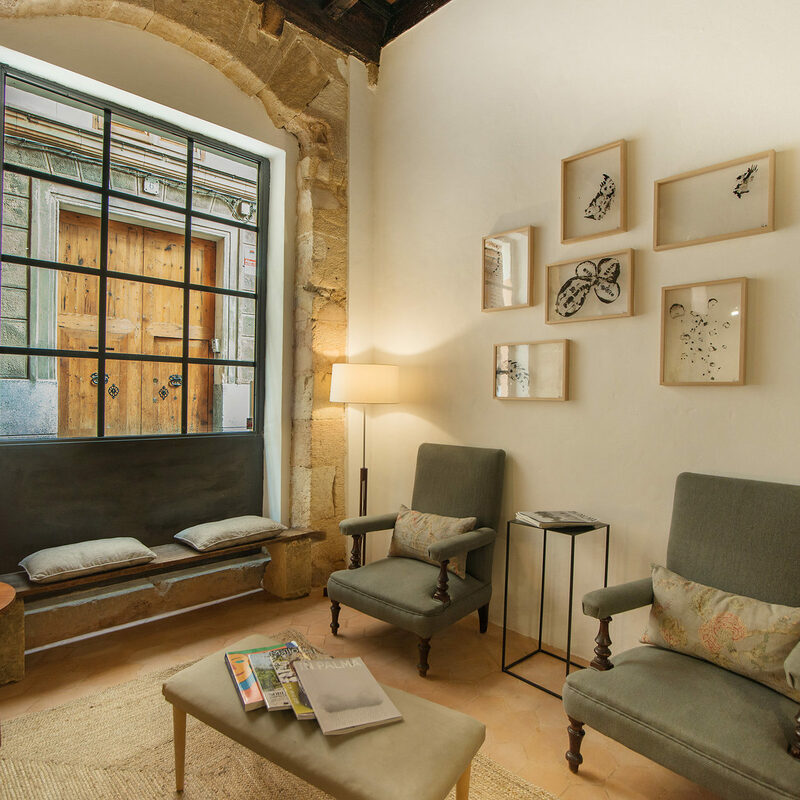 Canavall is located in an old restored building in Palma Old Town. Our lodgments, all different and unique, are decorated with typical elements of the island such as handmade hydraulic tiles, exposed beams and clay floors. We have carefully selected mattresses of high thickness and multiple layers in order that our guests enjoy the best rest. 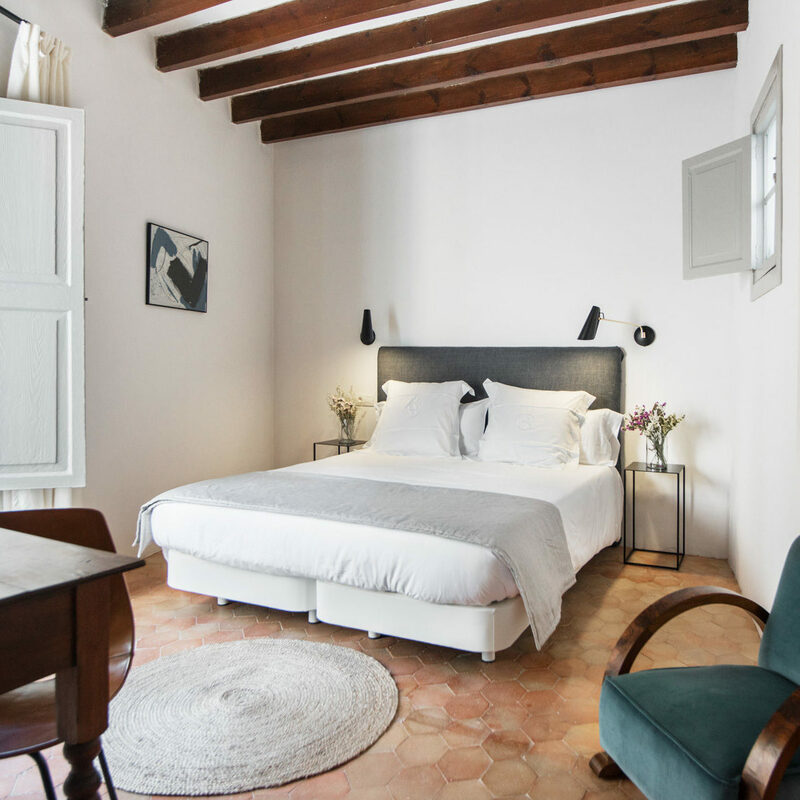 The Egyptian cotton bed linen is made by the renowned Bassols factory, and the textiles of the curtains and the headboard are made in the craft workshop Bujosa in Santa María. 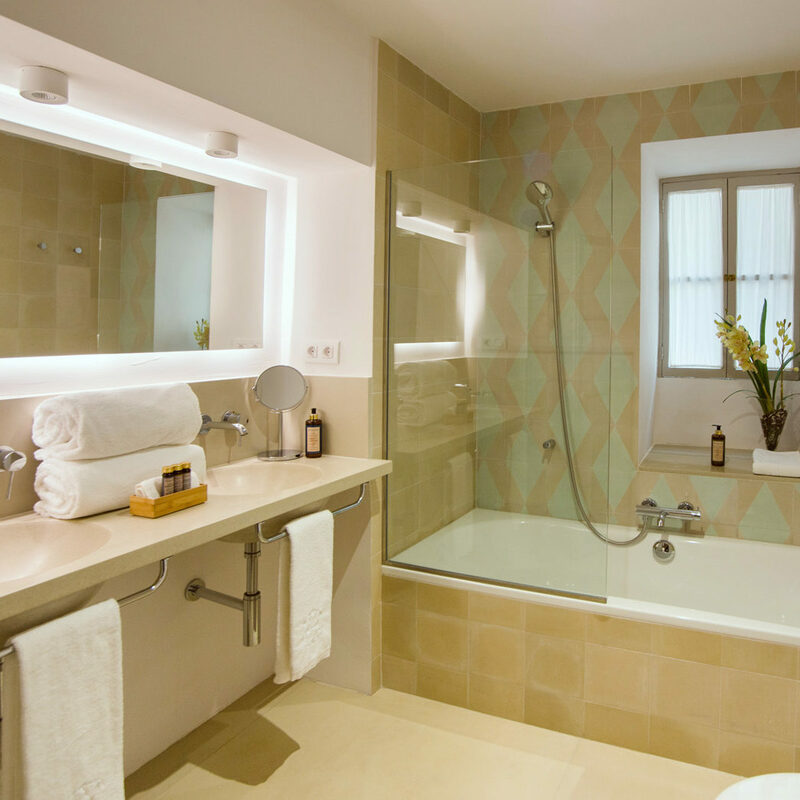 The bathrooms have been renovated with traditional Majorcan materials, such as basins and hydraulic tiles from the Huguet factory in Campos. We have selected the collection of tiles designed by Sybilla in different and delicate colors, so that each bathroom is unique. Continental breakfast at the lobby between 8.00 am and 10.00 am. 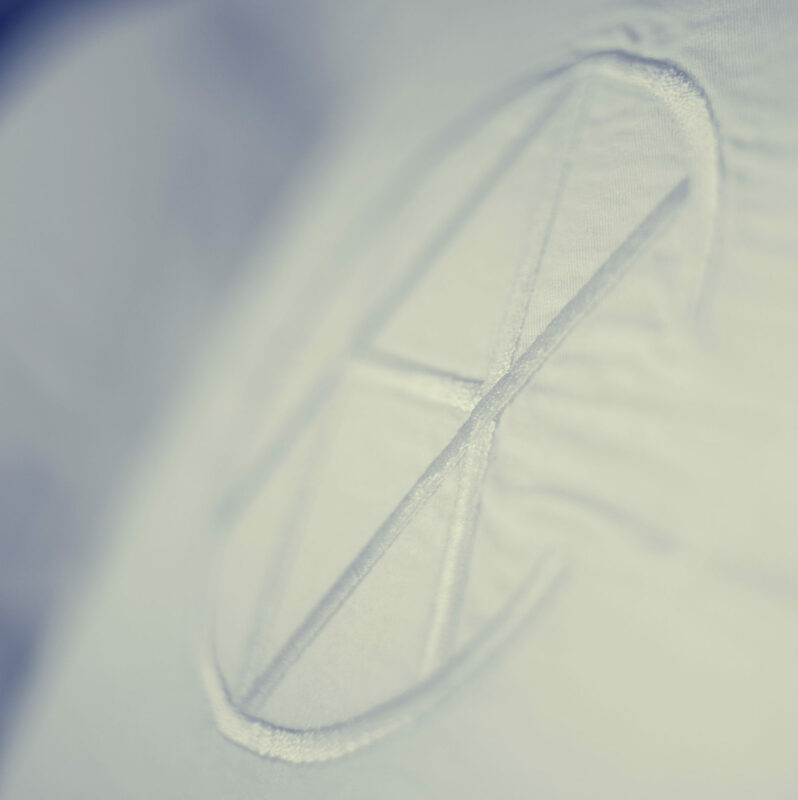 The rooms are dressed in Egyptian cotton sheets from the textile factory Bassols to provide the best rest. All rooms have a private bathroom equipped with hairdryer, toiletries, magnifying mirror and towels by Bassols. Room cleaning service from Monday to Saturday, with change of sheets and towels as required. Air conditioning system with independent temperature control for each room. Guests who arrive before their 3pm check-in time may store their bags until their rooms are ready. Guests may also store their bags following their checkout until the end of the day. 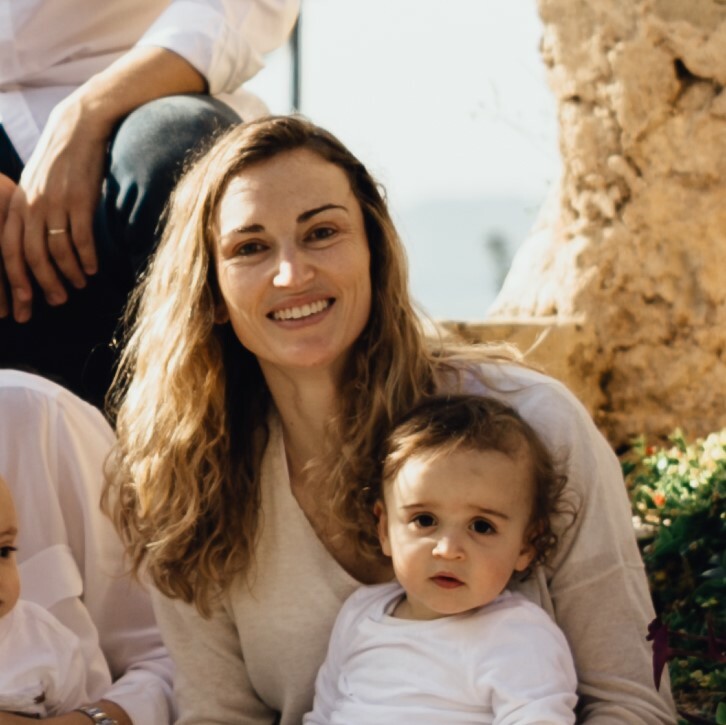 We are a small family business formed by four partners, all of us passionate about the culture, history and life of Palma and the island of Mallorca, and our goal is to share it with our guests. 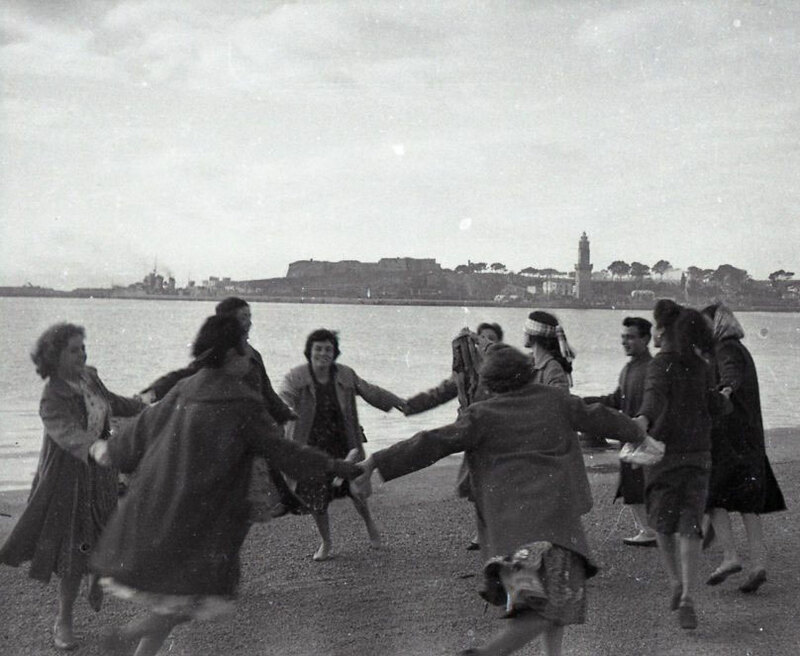 Half Mallorcan, half Australian, our director is passionate about the history of Palma. Isabel is in charge of the welfare of our guests, as well as taking care of the details and breakfast. 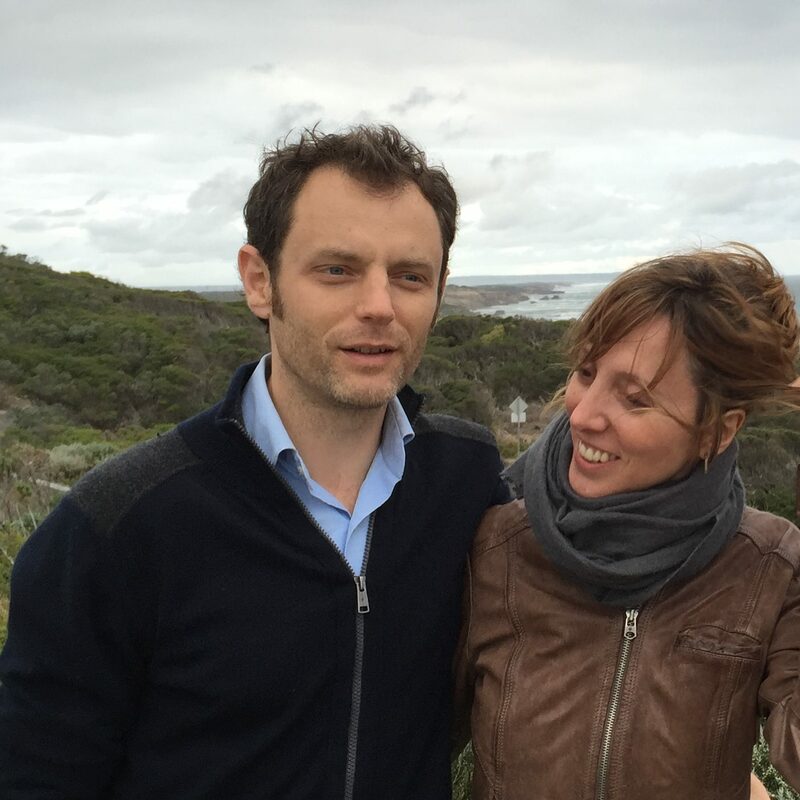 Araceli works with her brother Javier at the family winery, where she is technical director and responsible for white and rosé wines. Partner of Canavall and Isabel's husband. 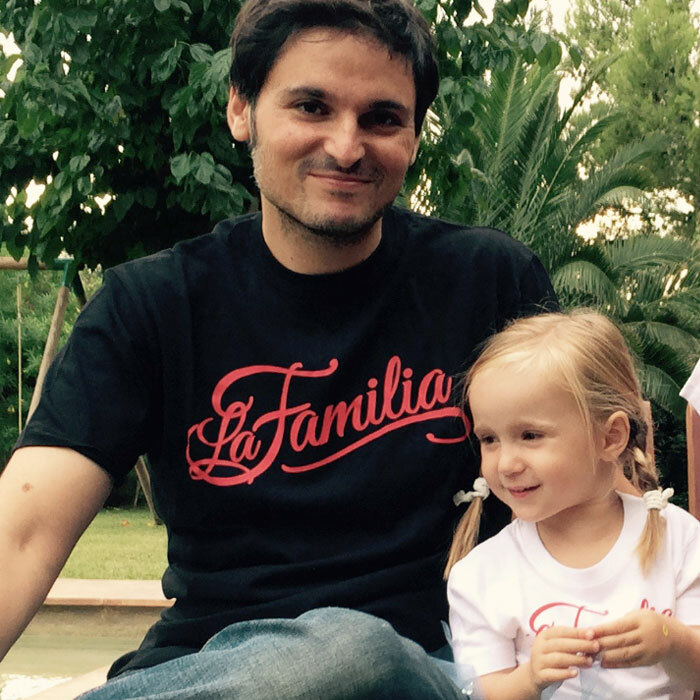 Javier is the director of the family winery. 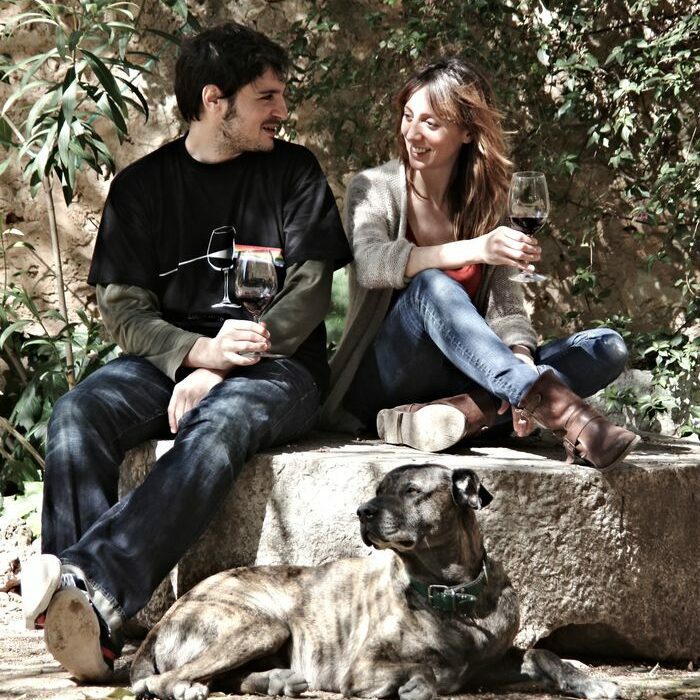 He is responsible for the elaboration of the red wines of Bodega Ribas. 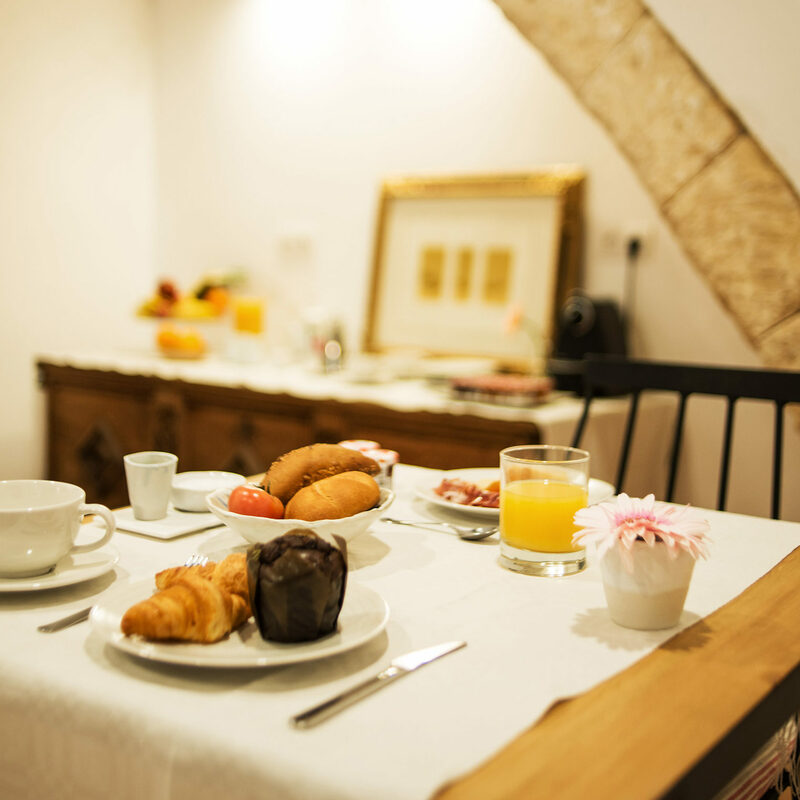 All the traditional Majorcan elements have been preserved to keep the original character and the rooms have been modernized in order to provide all of the necessary comforts for our guests. 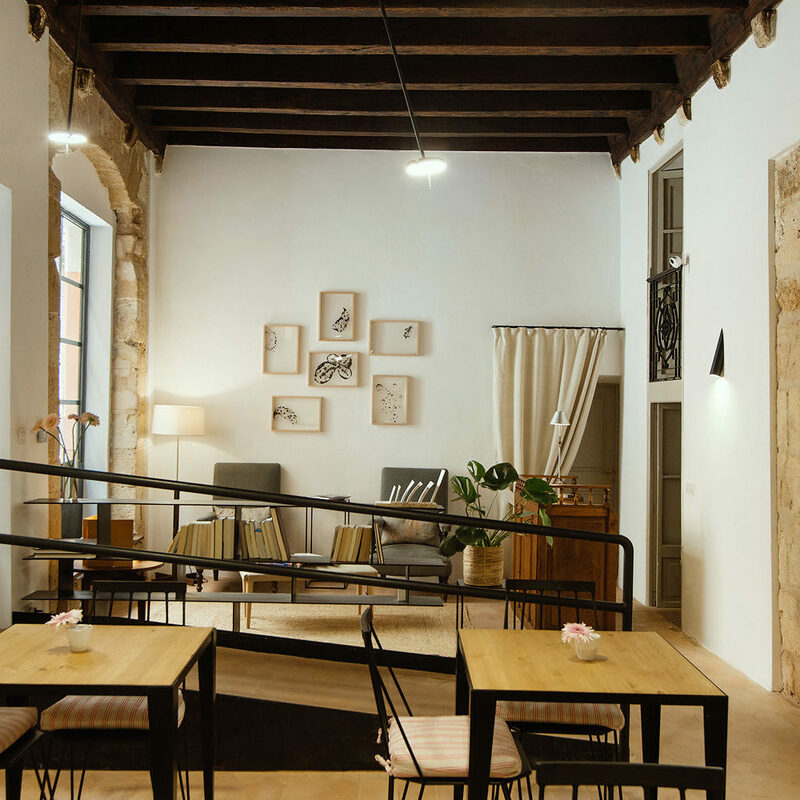 The lobby and the breakfast area are located in what was the old bakery "Antic forn de les Caputxines", a large space with an antique wooden ceiling as well as several medieval arches. Most of the art exhibited has also been performed by local artists. The old town was formerly divided into 2 neighborhoods, Canamunt i Canavall, from which our small family lodgment takes its name. 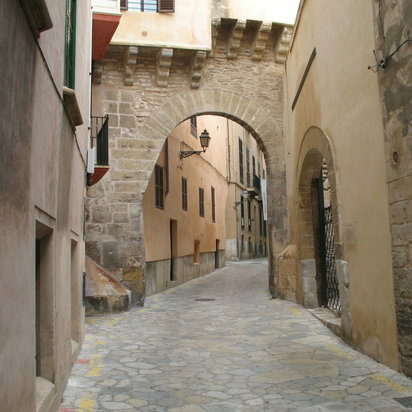 This area has some of the most popular streets and squares of Palma, such as Paseo del Borne, Jaime III, La Rambla, Plaza Joan Carles I and Plaza del Mercat. A few meters from Canavall, in Plaza Weyler, you can find Caixa Forum. This beautiful modernist building serves as a center for interesting exhibitions. Also a few minutes away it is located the Teatro Principal, where the annual Opera Season takes place, as well as classical music concerts and plays.